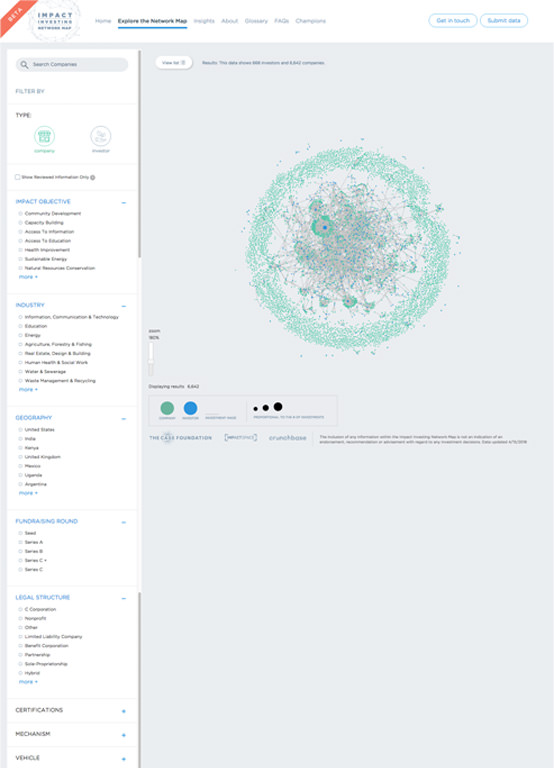 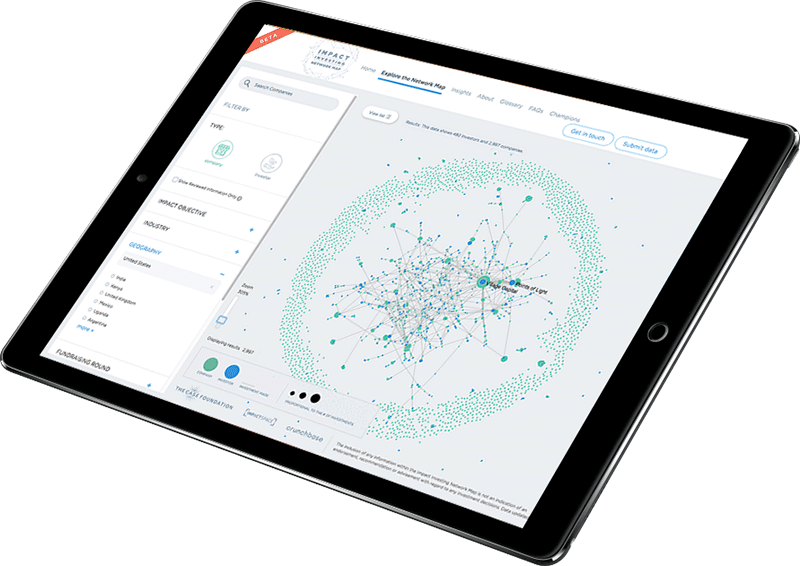 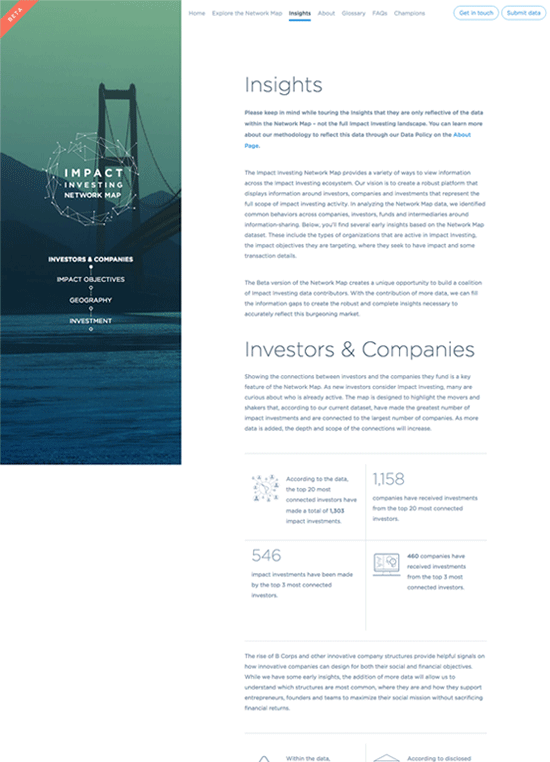 Create a tool that showcased the publicly available transactions between investors and companies within Impact Investing. 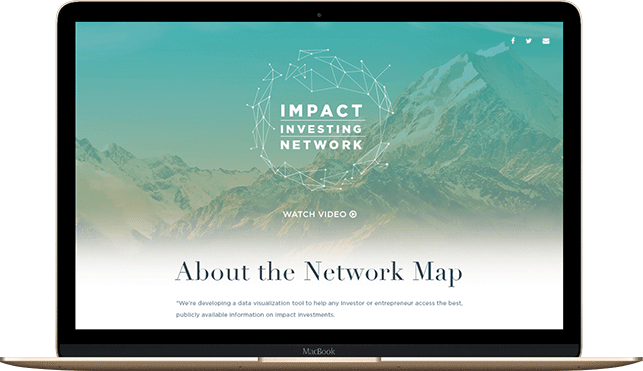 The end result was a forward-thinking tool that brought the connections between actors of impact investing to life, emphasizing the enormous potential of this field. 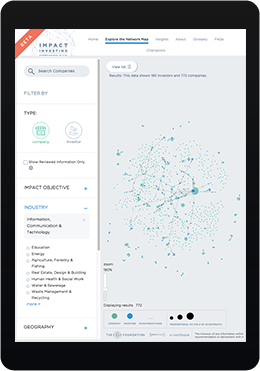 The map is a finalist for Fast Company’s World Changing Ideas award.